Located close to the center of Katowice, the Park Hotel Diament Katowice is newly opened modern venue boasting very good location very close to the A4 highway. 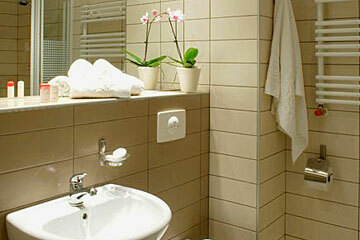 The attraction of the hotel is a good access from KrakĂłw, WrocĹaw, Warszawa, airport Pyrzowice, and the airport Balice. 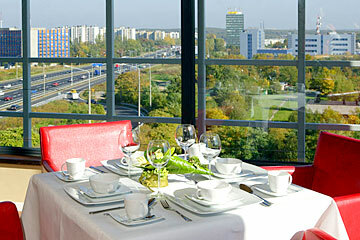 In the Atmosfera restaurant guests will savor delicious Polish and international cuisine, enjoying marvelous view of the Katowice panorama. 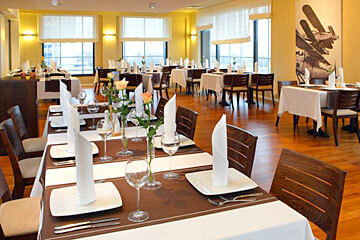 The restaurant also offers splendid dishes of the local cuisine. In the hotel there is also a SPA center offering a sauna, cosmetic and healing treatments of body and face, as well as massage service. Nearby guests will find the city park with a Zoo and entertainment park, green areas with ponds and sport center. 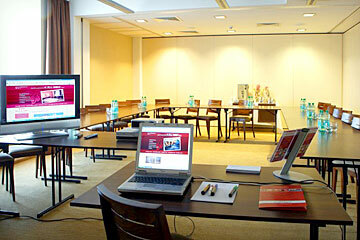 Hotel Diament Park Katowice offering 99 single and double rooms and studios designed in a modern, functional style. The Diament Park hotel is located close to the center of Katowice, 40 km from the airport, 700 meters from the main train station, and the main bus station. From the center of Katowice you can get by bus 600 or tram 6, 16. - drive from the center of Katowice into the direction of Warsaw, then drive to the direction of Wojkowice KoĹcielne, then turn right (after the bridge) and then drive straight on.